Col-CC Flight Director Marius Bach is looking forward to working with Alexander Gerst during his mission, which runs from 6 June to 13 December 2018. 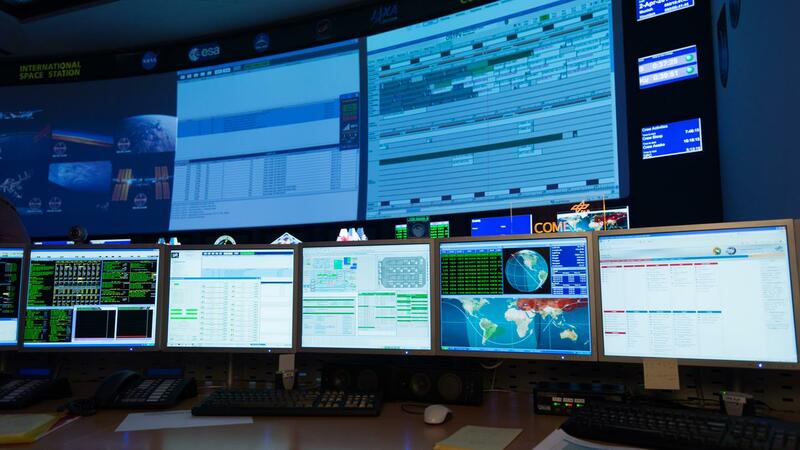 The Columbus Control Centre (Col-CC) in the German Space Operations Center (GSOC), which is located at the German Aerospace Center (DLR) site in Oberpfaffenhofen, controls and monitors the Columbus space laboratory on the International Space Station (ISS). The laboratory was developed under German leadership. It was permanently installed on the ISS and put into operation on 11 February 2008. Astronauts on board the International Space Station (ISS) use the Columbus research laboratory to conduct numerous experiments for researchers around the world. The Columbus Control Centre (Col-CC) in the German Space Operations Center (GSOC), which is located at the German Aerospace Center (Deutsches Zentrum für Luft- und Raumfahrt; DLR) site in Oberpfaffenhofen, is responsible for the planning and implementation of the experiments. At the facility, approximately 100 scientists and engineers have been coordinating and planning for more than one year to ensure that the German ESA astronaut Alexander Gerst will successfully complete all of the experiments scheduled for his space mission, horizons, which will begin on 6 June 2018. The Columbus laboratory has been under the control of Col-CC since it commenced operations over one decade ago. The facility collaborates with other European user centres to support the astronauts in their scientific work. Hansjörg Dittus, DLR Executive Board Member for Space Research and Technology, on the work of Col-CC: "The Columbus Control Centre has established itself as a central European link to the International Space Station, and is currently looking after a large number of parallel research projects in space. Staff in Oberpfaffenhofen ensure the comfort and safety of the astronauts around the clock, and DLR's expertise in Col-CC will be used again in the upcoming mission by Alexander Gerst, and will guarantee a successful flight." Astronauts on the ISS have tightly scheduled days. Col-CC Flight Director Marius Bach and his team are responsible for ensuring the best possible use of each minute: "Our job is to optimally plan the utilisation of scarce resources in space, while still creating a manageable work schedule for the astronauts. It is like a jigsaw puzzle; in addition to efficient work allocation, we make sure that the astronauts also have time to share a lunch break on normal days." In total, the team has assigned the German ESA astronaut Alexander Gerst to over 100 hours of experiments in the Columbus laboratory. Among other things, he will observe the migratory patterns of small animals around the world and analyse the properties of molten metal in a microgravity environment. 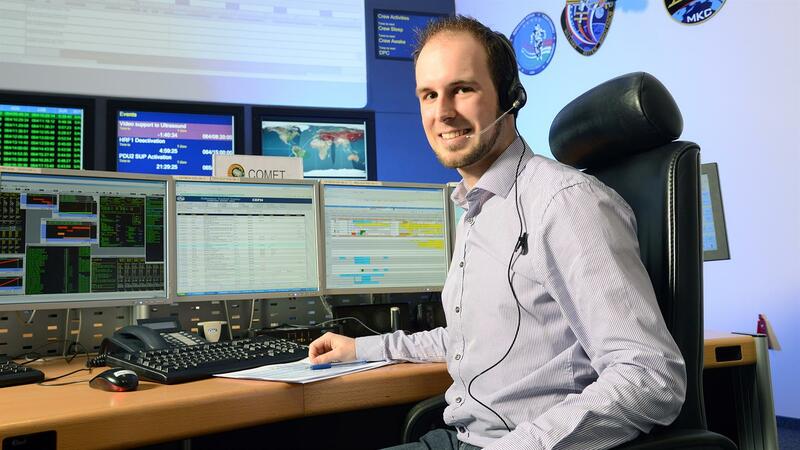 The team at Col-CC has been collaborating with other user centres worldwide for one year to create optimum schedules for the German astronaut on the ISS. Bach is looking forward to the collaboration: "There is something special about supporting a German astronaut. I also know Gerst from his first mission and I know that he works very professionally and that he is a good team player." Every morning and evening, the control centres around the world discuss the daily operations with the astronauts on board the ISS. Bach and his team also discuss the agenda separately with Alexander Gerst: “At Col-CC, we speak with Alexander Gerst alone for 15 minutes each week to coordinate the experiments and procedures in the Columbus laboratory.” Col-CC can also contact the ISS astronauts at any time by email or radio. Gerst can reach Flight Director Bach by mobile phone at any time of the day or night. Holidays are out of the question for the engineer until October, when he will hand over the role of Flight Director to his successor as part of normal control centre operations. The astronauts and the planning team at Col-CC know relatively accurately in advance how much time they need to assign for the individual experiments. All procedures and movements are tested on Earth, and the times that the astronauts need are measured repeatedly. “It really is quite rare for an experiment to deviate from the original plan so that we require more time. If it happens, we discuss things with the astronauts and negotiate with our international partners to see if there is anything we can postpone slightly." Whether the astronauts will be asked to perform additional work is always a careful and balanced decision. Usually they work for 6.5 hours and complete a 2.5 hour exercise programme. The rest of the day is leisure time and time for sleeping. “Astronauts need to feel comfortable on the ISS, so they require time to relax,” emphasises Bach. Columbus is almost 6.9 metres long and has a diameter of 4.4 metres. Its lift-off mass was 10.3 tonnes, and the maximum mass of the payload racks is nine tonnes. Up to three astronauts can work in the laboratory at the same time. Standardised payload racks containing laboratory equipment and technical systems are installed in the cylindrical structure. 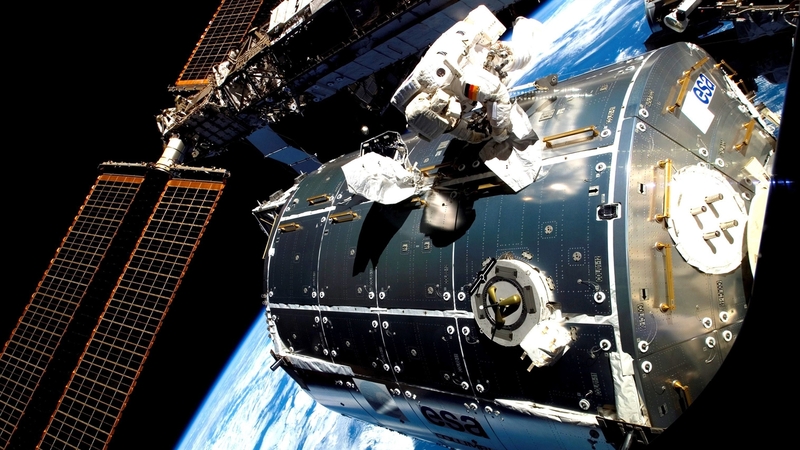 Developed under German leadership, the laboratory was permanently installed on the ISS on 11 February 2008. This significantly enhanced the research facilities on board the ISS. The Columbus Control Centre (Col-CC) is located in the German Space Operations Center (GSOC) at the DLR site in Oberpfaffenhofen. From here, around 100 scientists and engineers monitor European activities on the ISS. Col-CC, together with other European control and user centres, monitors and controls the Columbus space laboratory to support the astronauts in their scientific work. The life support systems such as the air supply, power and cooling are monitored and controlled at Col-CC around the clock. Another primary task is the provision and operation of the European ground communications network.